The Introduction is a section of a document that appears towards the begining of a document. If the document also has an Executive Summary, the Introduction will come after the Executive Summary. The purpose of the Introduction is to provide the reader with general background information on the subject matter of the document. Often the introduction explains important concepts and principles that the reader needs to know if they are to understand the rest of the document. Although it is commonplace to give this section the name "Introduction", it does not have to be so named. The section heading can be anything that is appropriate, interesting and fitting for the introductory section of the document. 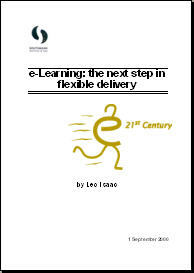 In the report linked below, the Introduction is headed The future world of e-learning. This section (as an introduction) aims to provide the reader with a basic overview of what flexible delivery is and why it is an important concept in education.